Are Oakwood and Southgate landlords to blame for the lack of first time buyers? I was having an interesting chat the other day with a couple of solicitors at Oakwood and Southgate business networking event, when the subject of a lack of property for first time buyers came into the conversation. I followed the chat up with an email with my findings, of which I would like to share with you today. At the time of the last census in 2011, there are 3,401,675 properties in England that were privately rented, of which it is estimated, were owned by over 1.25 million private landlords. The rapid growth of buy-to-let is hugely controversial, especially as only ten years before that, there were only 1,798,864 properties under private renting in England. Buy to let landlords have been held responsible for forcing up property prices and preventing our younger generations from being able to buy. There is also growing resentment toward the billions of pounds in tax relief (estimated to be nearly £10 billion) landlords claim on their mortgage interest -tax relief not available to homeowners. They may be asset rich thanks to recently rising property values, but let us not make the landlords the bogeymen they could easily be called. Despite all these benefits enjoyed by private landlords, let us not forget the good they have done, especially in Oakwood and Southgate. 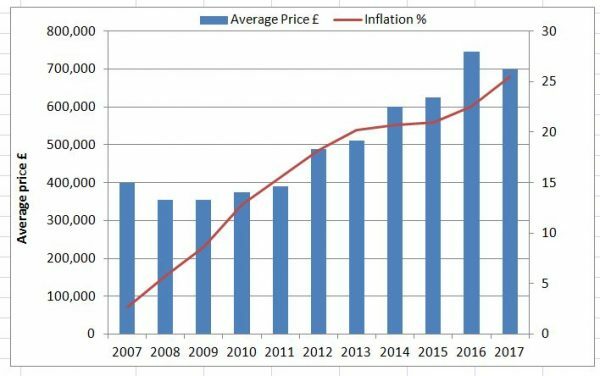 Property values today in Oakwood and Southgate are still 34.83% above the 2007 property boom levels (2007 being the peak of last property boom before everything dropped in 2008/9), yet inflation has risen by 26% in the same time frame, so in real terms, properties today are only 8.83% more expensive than they were in 2007. Just think how low they would be without landlords buying all those rental properties in the city. Interest rates are at an all time low and first time buyers only need to save a £12,500 deposit to secure a lovely studio flat in Oakwood and Southgate with a 95% mortgage. Forget what the papers say, first time buyers can borrow money relatively easily on a 95% mortgage and nine times out of ten, it’s cheaper to buy than rent. So why aren’t people buying? The number of people choosing to rent, either for lifestyle or economic reasons, has grown over the last 15 years. I also believe they will continue to grow for some time to come (as does every report on the subject). In fact I would go as far to predict the number of rental properties in Oakwood and Southgate will have risen from the 3,535 properties recorded in 2011 to 4,550 by 2021. It is a fact that we as a Country are more and more turning into a European model when it comes to homeownership, where the norm is renting for the first ten years, as opposed to the norm from the 1960’s to 1990’s, where first time buyers were encouraged to buy as soon as they left school and got a job. Tenants, in particular, will also feel the benefit from potential changes in the market. The record low interest rates, existing economic conditions, Stamp Duty changes, combined with the uncertainty of the Brexit negotiations has resulted in lower demand for people to buy, yet also put a dampening effect on increases in rent. As long as landlords buy the right sort of property, that allows for a reasonable yield, decent capital growth, everyone will be a winner.